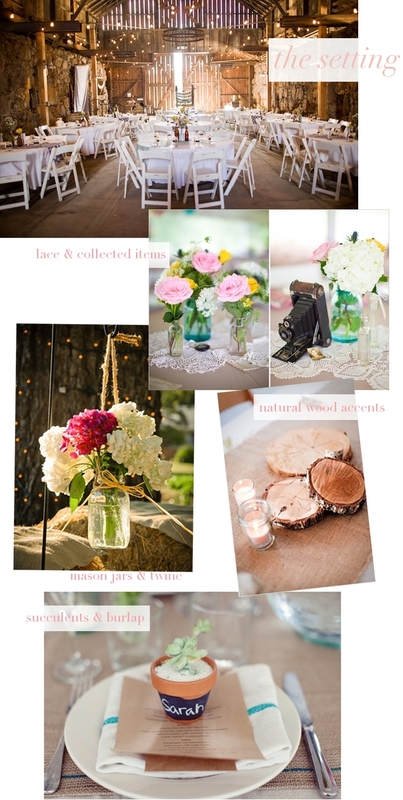 This Friday, I'm helping to coordinate the decor for my good friend's soft + rustic barn wedding. Think: soft neutrals, hand-picked flower arrangements, burlap and lace, and lots of personal, vintage touches. So romantic! I'm so excited to see how it turns out - hopefully I will be able to share a bit on Monday!